These are the perfect Rock and Pop Function Bands for weddings, corporate events & parties in Torfaen, locally sourced by our entertainment experts. Find the best Torfaen Rock and Pop Function Bands only at Alive Network, the UK's biggest entertainment agency. All Star Ska are one of the hottest live Ska bands in the country! Performing feel good music from Madness, The Specials, Toots & The Maytels & more, this 7 piece band are a first class act! Code Red are a cool & energetic band that will rock your night with their mix of indie & rock anthems! From the Rolling Stones & Led Zeppelin to Arctic Monkeys & Kasabian, Code Red cover timeless classics to modern day hits. The Happenings are a professional band who perform great music with energy and conviction. Delivering top drawer performances with material from bands such as The Strokes, Kings of Leon, The Beatles and Rolling Stones they know how to make a party rock! A firm favourite for getting the party started, Chelsea Swagger perform energetic hits from across the decades including songs from The Kinks, Kings Of Leon, The Killers, The Beatles and much more! A young and energetic four piece party band from Bristol, covering songs from,The Beatles, Kings of Leon, Stevie Wonder, T-Rex and so much more! Superlive are guaranteed to get your guests up and dancing all night long! A true rock and roll band with heart and soul, this band feature 3 of the most experienced musicians in the southwest UK, playing the best classic rock anthems of the 60's through to current chart hits! They are guaranteed to get you up and dancing! From 60's Rock & Roll and Motown, to modern Pop and Indie, Never Too Much are a four piece party band who will work with you and around you, to make your event full of fun and dancing. 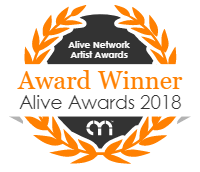 Alive Network are the largest Function Band agents supplying Torfaen and one of the leading entertainment agencies in the world. We specialise in booking Rock and Pop Function Bands for weddings, corporate events and private parties.